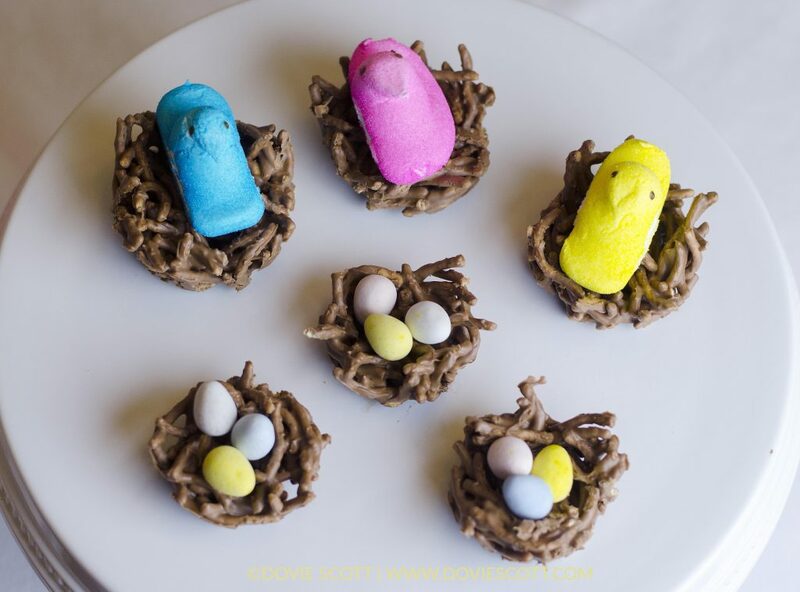 How adorable are these bird nest cookies? They would be perfect for Easter. They are so cute and they are easy enough (just a bit messy on the hands) to have your kids help with making them! Check out the recipe and video below. 1. In a large microwave safe bowl, melt chocolate chips and peanut butter chips together. Microwave at 30 second intervals until completely melted. 2. Stir in chow mein noodles and mix together. 3. Lightly spray muffin tins with cooking spray. 4. 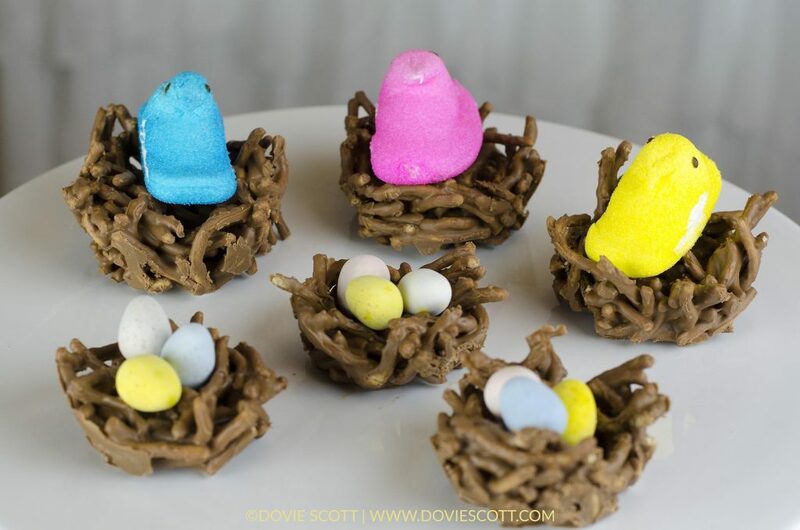 Drop mixture into greased muffin tins and mold into nest shapes. 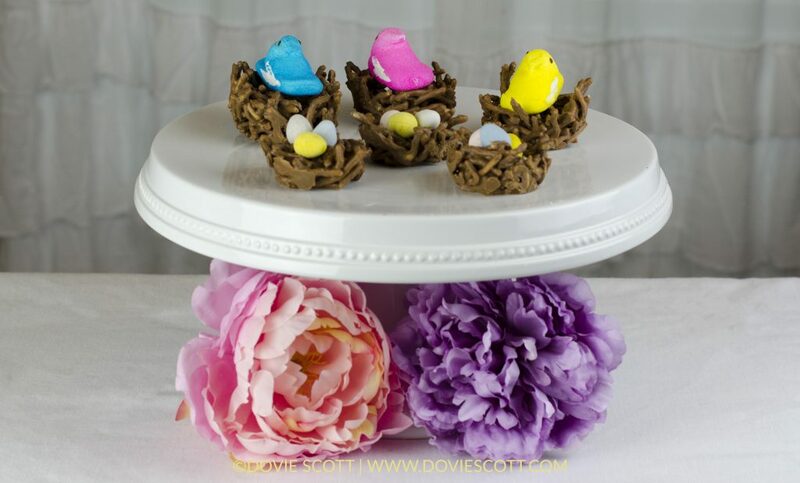 Large muffin tin used for Peeps Marshmallow Chicks and regular sized muffin tin used for smaller bird nests for the eggs. 5. Place in refrigerator for chocolate/peanut butter chips to set. 6. 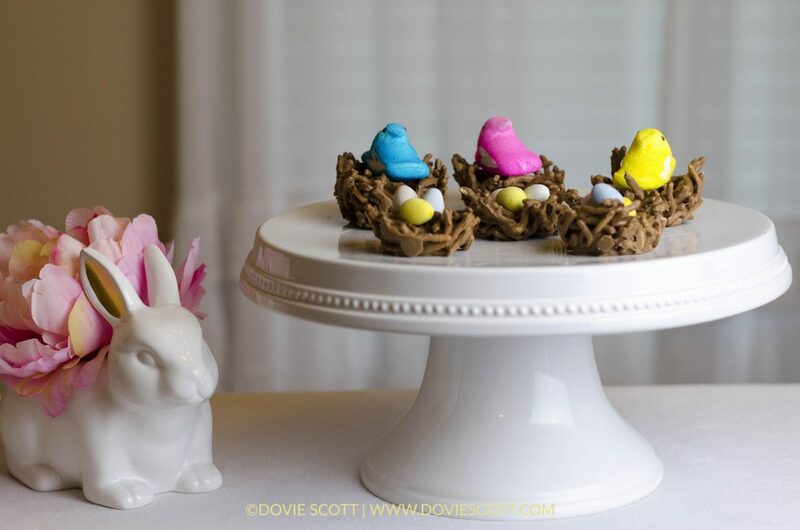 Remove from refrigerator and place mini eggs and Peeps marshmallow chicks on top.